Regular Maintenance for Your Semi - Triangle-J, Inc.
You already know that some regular maintenance goes into keeping your personal car running smoothly. Have you thought about your work trucks? As a manager or owner of a business that needs trucks or even just a driver who spends a lot of time in his semi, there are few things as critical to the success of your operation as the regular maintenance of your semi trucks. Your truck is your lifeline! Your truck is your money maker! As such, keeping your truck well maintained is unbelievably important. Just like your car, your semi needs an oil change. Unlike your car, though, going a few hundred miles past when its due is a big deal. Your truck is working hard! 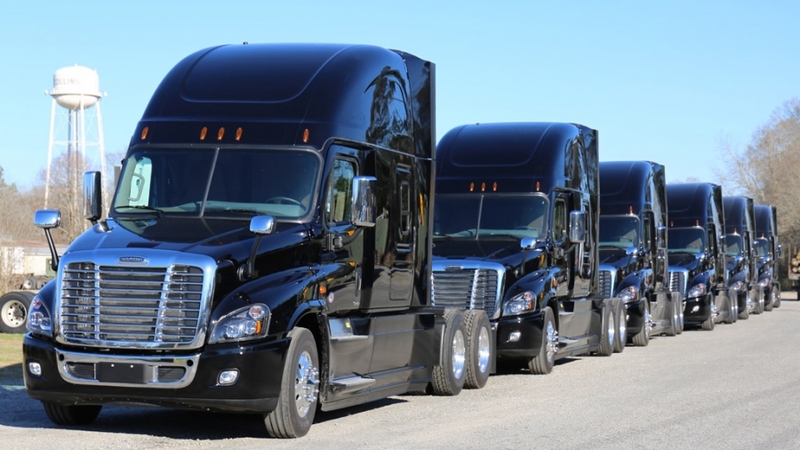 It’s important to regularly monitor your fleet’s oil, especially before a long haul. Special attention should be paid if the truck has recently had any engine work performed. Worrying about forgetting? Develop a routine semi truck maintenance plan in order to create a schedule that will protect your fleet and prevent issues before they arise. Tires are expensive, so you don’t want to buy new ones unless you have to. Tires are also one of the largest culprits for accidents relating to semi trucks. You should check your tire pressure weekly. Improperly inflated tires will affect handling, they wear faster and they have a higher chance of blowing and causing either the need for a new tire or a dangerous accident. Properly inflated tires also reduce fuel consumption, saving you money. Don’t just keep them inflated; rotate them as well. Wheels that are out of alignment may cause your tires to wear unevenly. Your handling will be negatively affected and your driver will most likely use more fuel. Also, an improperly aligned truck can shake or vibrate which can cause issues with your suspension, as well as the load you are carrying. Of course, a truck that isn’t aligned right is also tougher to drive and therefore more dangerous! Does that seem like a lot, just for one semi? Many people agree, which is why they don’t even try to do it all on their own. It’s much more convenient and money-saving to hire a company to handle semi services, instead of having one and taking care of it yourself. If you would rather a professional truck driver who has been to CDL school handle it, contact Triangle J Trucking. We offer refrigerated truck driving services, flatbed services, and more.